Your ticket quantity will vary depending on the type of raffle licence you are applying for through your local regulator. Please refer to our guide on How to Determine Ticket Quantities for more information. Check the box beside "Yes, I'd like to set multiple ticket prices to increase sales" if you'd like to set multiple ticket prices. 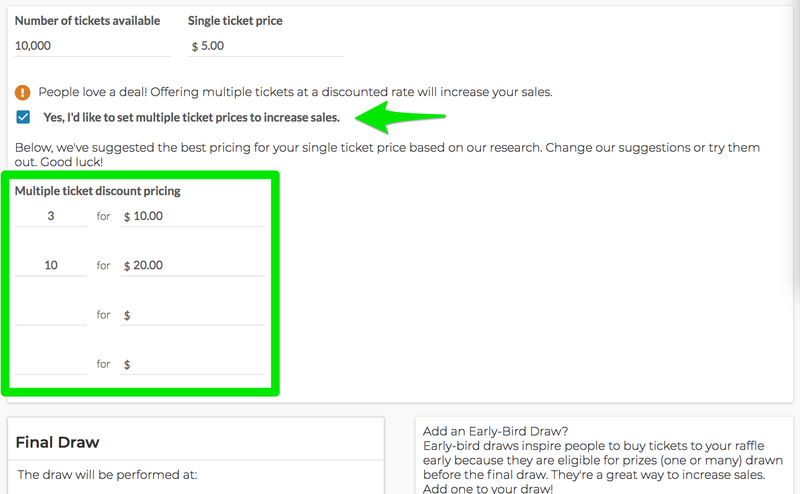 If you check the box for multiple ticket prices, an area will appear below that allows you to set the pricing you'd like to use.